Tributes have been paid to the man who helped to pioneer contact lenses and was instrumental in them gaining worldwide acceptance as an effective means of vision correction. Dr Robert Koetting, who died this week, was a big supporter of contact lenses as far back as the 1960s and promoted their benefits over glasses as a far more discreet means of solving vision problems. As well as being an inventor, he was a writer and expert on management practices, in addition to being a popular speaker in his field  something which helped him to influence peers in the profession to use contact lenses, the STL Today reported. Dr Carmen Castellano, who now owns the Koetting Associates, which was founded by Dr Koetting, told the news provider that he was so sure of the effectiveness of contacts that he required all of his staff to use them in place of glasses  and wore them himself to illustrate the point. "He didn"t want patients coming in for contacts and everybody around him wearing glasses," Dr Castellano recalled. She also noted how he never liked to let any patients down, and so specialised in fitting lenses which were not only difficult to insert, but solved a number of different eye problems. Dr Koetting was responsible for founding the International Society for Contact Lens Research and, upon retiring in 1986, was named Contact Lens Person of the Year by the American Optometric Association. 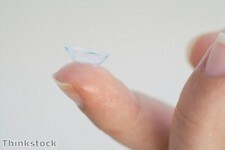 The expert will perhaps be most remembered for helping to persuade the general public and optometrists that contact lenses were not only safe to use, but could also offer more benefits than glasses. STL Today summed it up: "He advertised aggressively, often on the old Jack Carney radio show. The ads and his work earned him tens of thousands of patients and a reputation as a pioneer in the contact lens field."